2011 NRA Annual Meetings & Exhibits in Pittsburgh! Osama bin Laden is dead. What a perfect way to end the weekend in which we celebrated American Values, Freedom, and the 2nd Amendment. Of course, I'm talking about the 2011 NRA Annual Meetings & Exhibits in Pittsburgh. It was my first time attending and I certainly recommend it to anyone who never has. There were tables from almost every gun-industry related manufacturer one could think of and lots of information on new products. We didn't have time to visit every table but we will bring our readers up to date on a few important new products coming on to the market. Before we get to the products, I have to say, I was very happy to meet Chris Cox, NRA-ILA Executive director and the Gunny, who we all know from Full Metal Jacket, R. Lee Ermey. I've always wanted to meet the Gunny so I was happy to stand in line for the chance. Of course, I wanted to greet him with one of my favorite FMJ Lines which may have been just a little inappropriate for the family-oriented people and children in the vicinity. It was a line in which he talks about how much he likes me and invites me to his house to meet his sister ;-) I think most of you would know what I am talking about. So, I kept to a simple hi and thank you and it's a pleasure to meet you kinda thing. I got my Semper Fi and autograph and I was happy like a child meeting his hero. Meeting Chris Cox was also a pleasure. He had a firm grip and a sincerity in his voice that just rang of the qualities a good leader should have. I did, however, miss out on meeting Wayne LaPierre, Ted Nugent, and Brock Lesnar. I'm certainly happy Brock is on our side too, I would hate to have a disagreement with him! All in all, on a personal level, I was extremely happy to meet two people whom I admire. My first stop was at one of my favorite manufacturer's... Leupold. For a few minutes, it was like being in Leupold heaven. Wall-to-wall with the finest scopes, binoculars, rangefinders and more. The new Leupold VX-6 was present and I got a close look at several variations. All I can say is wow! The clarity, the 6:1 zoom ratio, and the feel of these scopes are definitely worth the wait. In talking to the Leupold reps, I was informed that we should see these hit the market sometime around August. They jokingly told me that August really means October. Theres probably some truth to that. Another great Leupold product from a segment of the market that has recently become very popular is Game/Trail Cameras. Leupold is launching its first line of these cameras and had a few of these on hand for a closer look. I was told to expect these out in 5-6 weeks, again with the disclaimer that it may be longer than that. All in all, the stop at the table(more like a large room) was great and thank you to everyone at Leupold & Stevens for the friendliness and great product updates. My next stop was to Trijicon. Their newest additions included the RM06, RM07, and RM08 to their line of RMR (Ruggedized Mini Reflex) Sights. 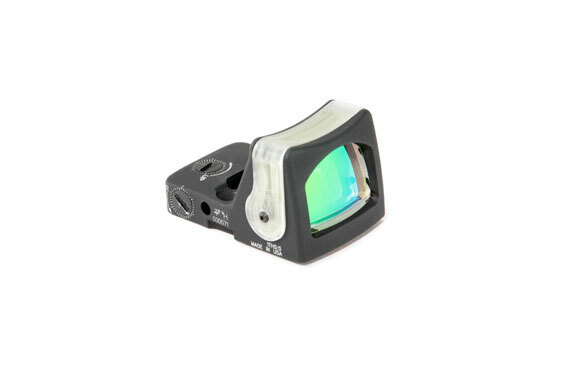 A truly durable sight small enough to use with a handgun or a rifle. The RM06 (3.25 MOA) and the RM07 (6.5 MOA) are LED sights with eight brightness settings. The RM08 is a Dual-Illumination sight and sports a 12.9 MOA Amber Triangle Reticle. It is also battery free and illuminated by both fiber optics and tritium. All of the RMR sights are offered with a variety of mounts and can also be mounted atop an ACOG. 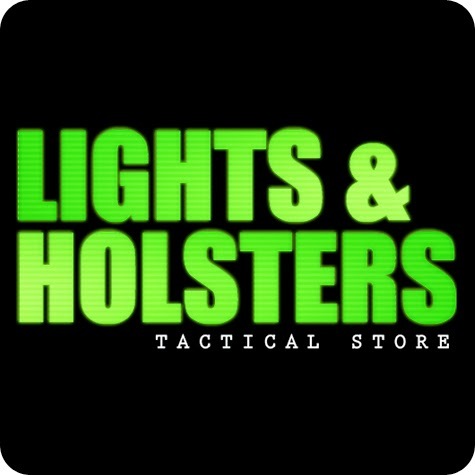 Expect to see them on the shelves here at Lights & Holsters Tactical Store some time in the coming months. There are literally hundreds of new products from scores of manufacturers coming on the market soon. As soon as they do, we will post them on the website and broadcast them in our monthly newsletter. I think I was entranced by the wonderland of guns, optics, holsters and accessories at my first NRA show. If there were any anti-gunners at the show masquerading as fans, they sure left disappointed. With all of the firepower and 2nd Amendment lovers under one roof, it was probably the safest and most responsible place they ever could have been and, of course, incident free. It makes me proud to be a gun owner working in an industry I love.